This alpine daypack is designed for keen outdoor enthusiasts and built for fast alpine summer hikes, active treks and mountain walks. 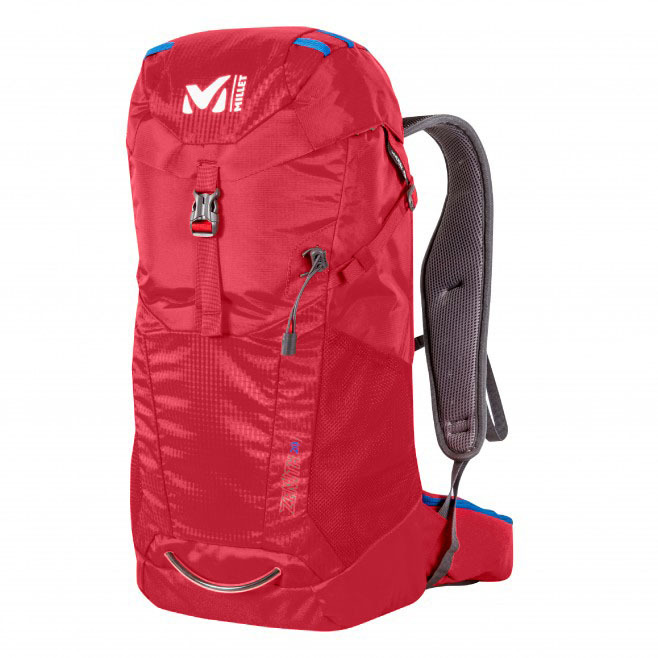 The Zenith is the lightest pack in the Mountain Series, offering g reat value for its feature set. Its 20L capacity and Sport Performance shape feature a narrow silhouette that frees up movement and carries well on steep and technical terrain. Suitable for one-day treks. The AIR CONNECT BACK combines the advantages of a comfortable molded-foam back panel and a highly ventilated exterior frame; the internal frame supports a molded back panel with ventilation channels that let a cool breeze circulate. The padded shoulder straps are perforated, and the hip belt is mesh covered for a comfortable carry and optimal breathability. The zipped hip-belt pocket, ergonomic and easy access, keeps to hand small items like a camera, lip balm and snacks. Compression straps can reduce the pack volume without restricting access to the side pockets. Hand-rest straps will ease your progress, helping blood circulate in your arms as you rack up the miles. This top-loading ZENITH 20 has a top opening with storm collar and a buckled top pocket lid, where the rain cover is stowed. The ice axe / pole holding system secures your gear, and the internal hydration compartment is also very convenient: no slowing down to pull out a bottle. For maximum performance and lightness, the Zenith is made of lightweight fabrics. It's light and robust thanks to a ripstop weave with very strong 200-denier nylon threads: stronger, but not heavier. To keep weight to a minimum, polyester - recognized for its high abrasion and snagging resistance - is added for superior ruggedness in challenging environments.